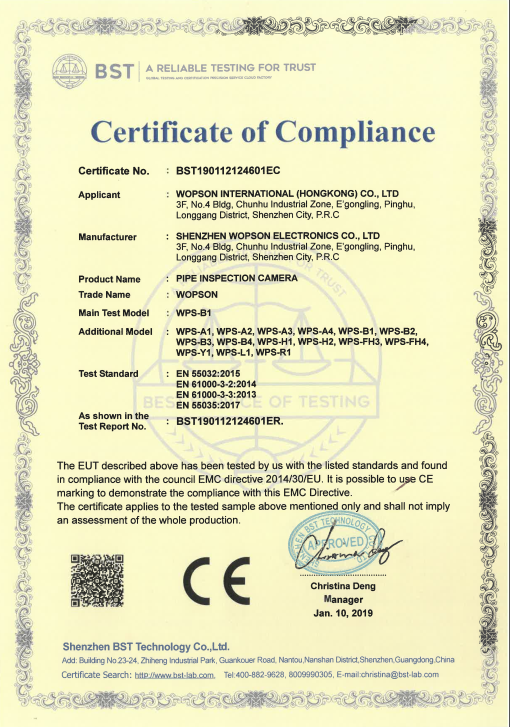 China 60m/200foot Cable Sewer Drain Pipe Inspection Camera With Meter Counting And Video Record Function supplier - high quality Pipe Sewer Drain inspection camera Handheld series for sales, Pipe Sewer Drain inspection camera Handheld series manufacturer. This model supports video recording, sound recording, taking picture, foot/meter counting and waterproof. Also can be used in:Pipe, Pipeline, Drain, Sewer Lines, Ducts, Tanks, Exhaust Vests, Tubes, Chimneys, Industrial Lines, Confined Space Investigation, Heat and Colling Lines, Attics, Wells, Underwater, Maintenance of the Plumbing and Wiring Behind Walls, Channel and Drain Lines, Sewage Tanks, Ventilation Shafts, Civil Engineering, Electrics Installation Shafts, Cavities, Rescue Areas.